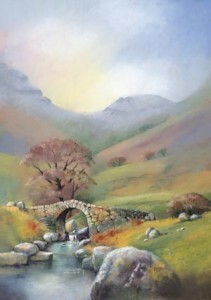 The background of this scene was very detailed with a mass of rocks and trees. This has all been simplified to lend emphasis to the bridge. 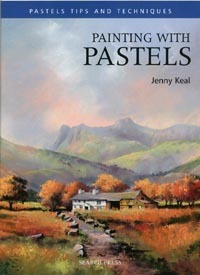 With pastel you can use colour instead of detail to suggest distant features and soften the colours together for an indistinct effect. Colour and detail have been used on the bridge to attract the eye and identify it as the focal point. 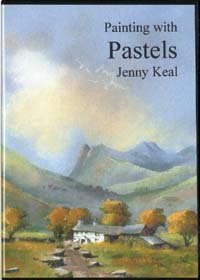 You can find this scene, along with a photograph and a sketch and lots more information in Jenny’s new book, Painting with Pastels, published by Search Press.